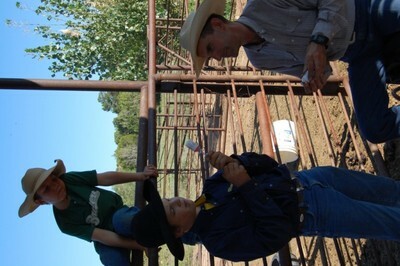 I mentioned earlier that I was able to take a cattle branding, and take some photos. When they brand their cattle, they vaccinate the cows (so they won't get sick), trim their horns (so they grow better), and brand them. Here's some of my pictures. I set the camera to underexpose the photos because it was so bright, and haven't edited them yet...and I forgot to rotate them again. sorry. 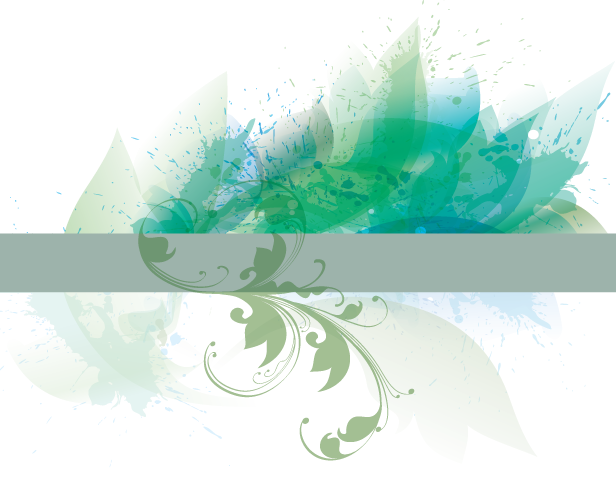 turn your head to the left.. Sorry. I forgot to rotate that pictures again. The father is watching as his son fills a syringe with a vaccination. 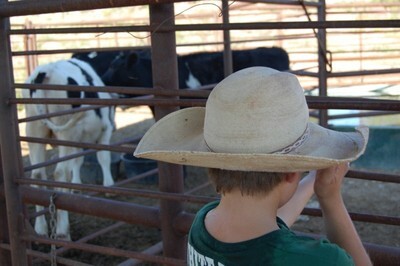 Branding the cow. Notice the smoke coming from the fresh brand. 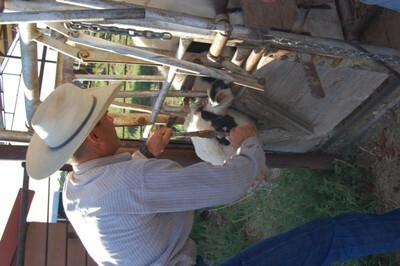 The rancher clips the horns of the bull. 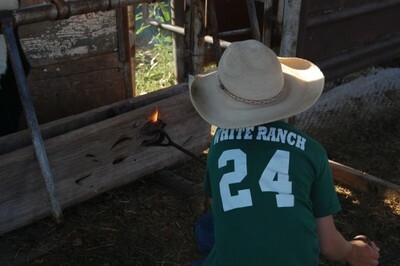 the youngest son practices his branding skills on the side of the cattle shoot.